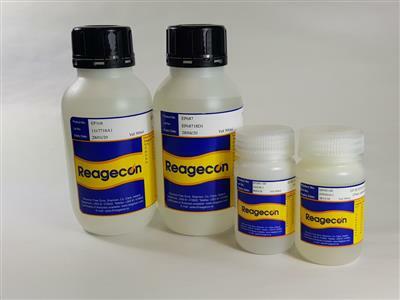 Reagecon's pH Buffer Solution at 25°C is tested and certified by an ISO17025 Accredited Test Method (INAB Ref. 264T) and NIST traceable, has guaranteed stability throughout its entire shelf life, even after opening the bottle. The product is developed, formulated and specified in accordance with EP requirements.